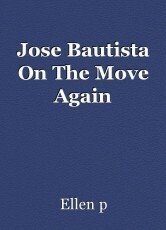 An article about a potential recent trade involving outfielder, Jose Bautista. It is safe to say that former Toronto Blue Jay's outfielder, Jose Bautista's career is probably almost over. Joel Sherman of the New York Post is reporting that Bautista has been traded to the Philadelphia Phillies from the New York Mets. Bautista was traded to the Mets earlier this summer from the Atlanta Braves. Bautista was the Jay's top hitter for quite a few years. Unfortunately, Bautista hasn"t found the same success he'd had in Toronto this season. In 95 games this season, Bautista has hit .196/.339/.364 with 11 home runs, 42 RBIs, playing for both the Braves and Mets.